Religious Cult members of the unorthodox Mormon Church of Jesus Christ of Latter-Day Saints are manipulated through fear and guilt. The religious cult of Latter-Day Saints produces fear in their members because if they don’t practice church doctrine faithfully they will fail to reach the highest levels of heaven. Fear that if they don’t wear their garments they will not be protected by God. 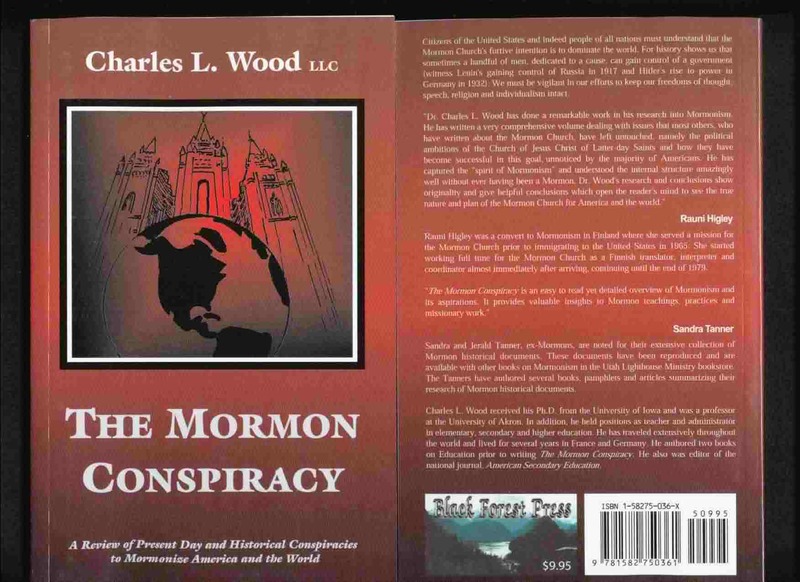 The Church of Jesus Christ of Latter-Day Saints is written about in further detail in the books website The Mormon Conspiracy . 1. Teaching that the doctrine of the LDS Mormon Church is reality, the doctrine is to be accepted, not understood. 2. Reality is black and white, good and evil, spiritual world versus physical word. As an example, the Mormon Church is the only true church on the face of the earth. 3. LDS Mormon Church members are taught to feel part of an elite corps. Following and accepting church doctrine insures members eternal life and a delightful life in heaven. 5. LDS Mormon Church members are manipulated through fear and guilt, fear that if they don’t practice church doctrine faithfully, that they will fail to reach the highest levels of heaven, fear that if they don’t wear their garments, that they will not be protected by God. 6. LDS Mormon Church members are taught that any problems that they may have are due to their own inadequacies. If they are having marital, financial or other difficult problems, it is because they are not following church doctrine, or are not praying enough. Guilt, fear and shame are present in the minds of Mormons, if they are not loyal, and fail to follow the church doctrine. 7. Unlike most other organizations, LDS Mormon Church members find it difficult to leave, when they find out that church teachings are false, or otherwise become disenchanted with the church. Terrible things may happen to them, and their family if they leave. Those who do leave, often lose their family, friends and other social contacts within the Mormon community. This scholarly book was written by Charles L. Wood, Ph.D. Emeritus Professor at the University of Akron.